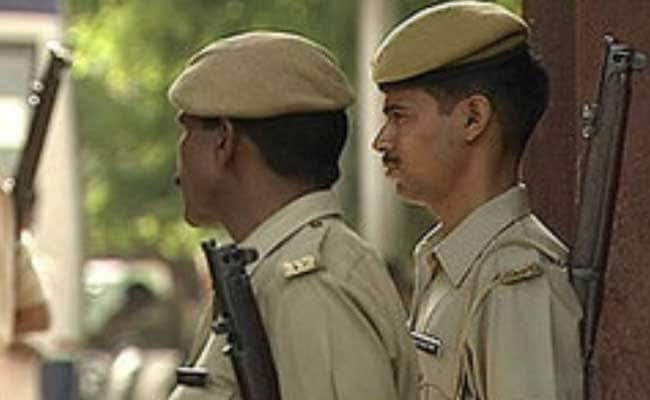 Police said that information was received that the gang's members were proceeding towards Kosi Kalan, Mathura, for procuring a large cache of arms. New Delhi: Members of a criminal gang, involved in extortion, today opened fire on Delhi Crime Branch personnel after they were intercepted near Ekant Marg, police said. However, the five criminals of the gang, which is active in south Delhi, managed to escape after the shoot out, they said. The Crime Branch personnel signalled a vehcile to stop but the driver rammed the car into the barricade and tried to run over a police man. The car's occupants, five in number, opened fire. The police team fired in retaliation. However, the accused continued to drive the vehicle with a flat tyre.